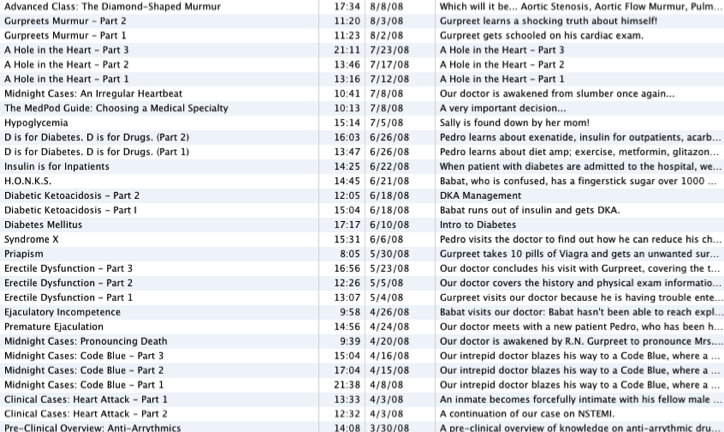 This is the reverse chronologic episode list, showing original release dates and running times of all episodes. 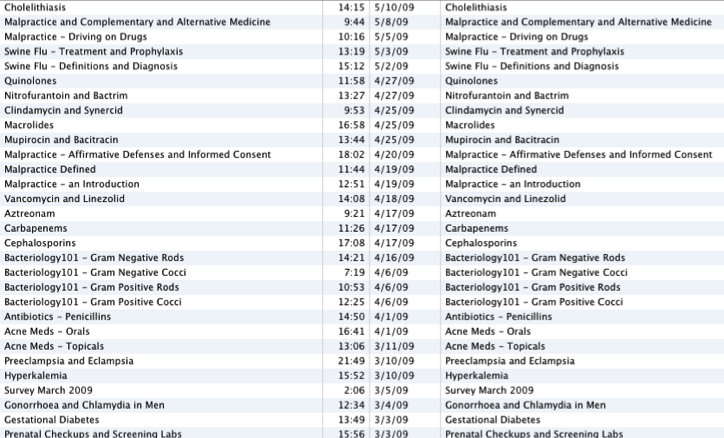 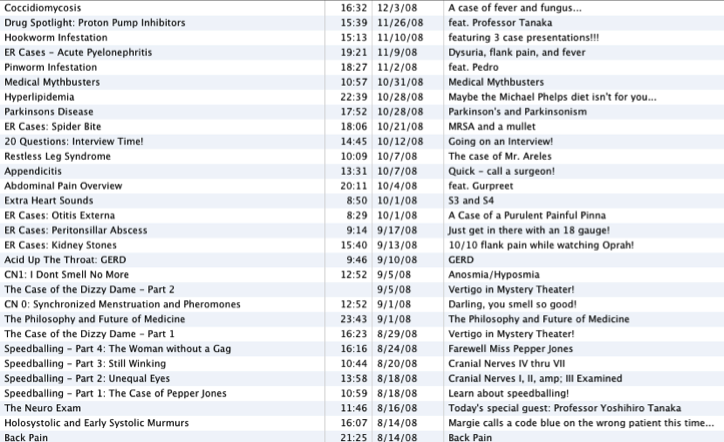 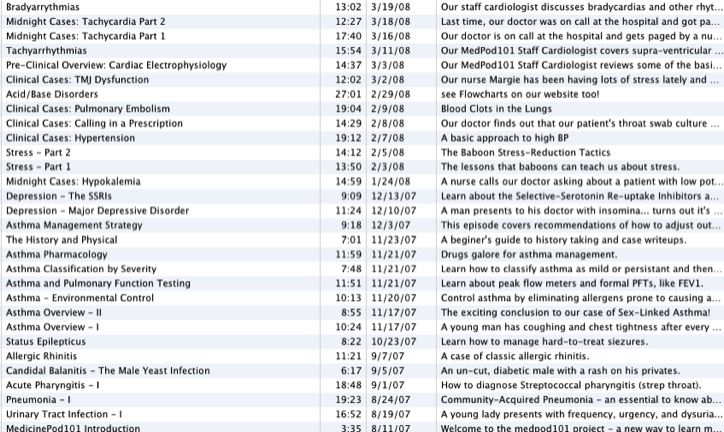 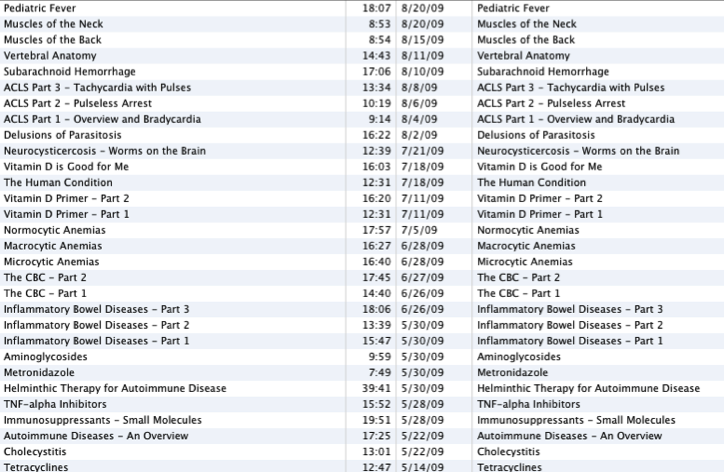 All episodes that are here are listed in the Complete Episode Archives - Part 1 and Part 2 sold on iTunes. 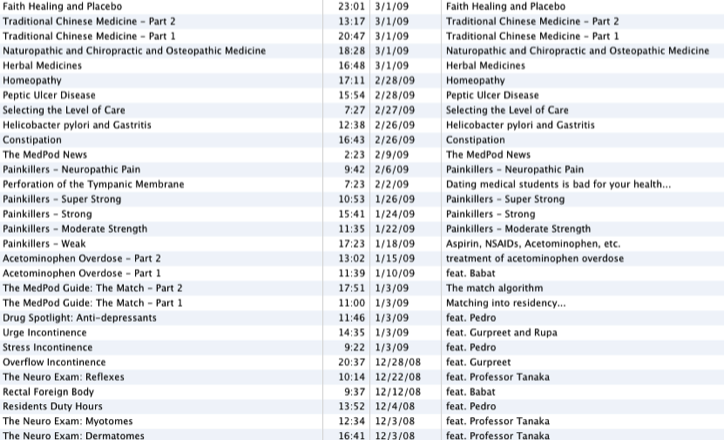 However, the titles may be slightly modified in the Archives.